Avandia Common Uses: Avandia (Rosiglitazone) is used to treat type 2 diabetes by reducing the resistance your body has to insulin. It is used either alone or in combination with other anti-diabetes medicines, including metformin or insulin, as part of a diet and exercise program. How to use Avandia (Rosiglitazone): Follow the directions for using Avandia (Rosiglitazone) provided by your doctor. 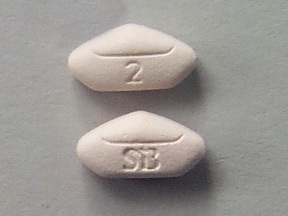 Avandia (Rosiglitazone) may be taken on an empty stomach or with food. STORE Avandia (Rosiglitazone) at room temperature at 77 degrees F (25 degrees C) in a tightly-closed container, away from heat, moisture, and light. IF YOU MISS A DOSE OF Avandia (Rosiglitazone), take it as soon as possible. If it is almost time for your next dose, skip the missed dose and go back to your regular dosing schedule. Do NOT take 2 doses at once.